Advendure are Greece's leading outdoor media channel and we are extremely excited to partner up with these guys and gals. In August of 2017 Advendure posted this article about the Lake District Sky Trails weekend held in July. 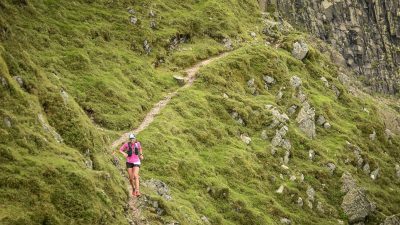 Lakes Sky Ultra 2017: Running in the Sky! Advendure is the biggest web-site in Greece regarding Mountain Running, Ultratrail and Outdoor activities. 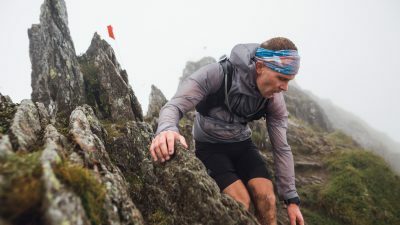 The team behind the site consists of experienced ultra-trail and mountain running athletes, competing both in Greek but also in international races. Advendure, as a name, comes from the mix of the words “Adventure” and “Endurance”, because we’re looking for those characteristics in the mountain races and activities that we participate and cover for our site. They are official media sponsors in many races every year (most of the Greek Mountain Running races, but also of several big International events) and they are also an official media partner of the Ultra-Trail® World Tour 2017. Advendure also cover various aspects of outdoor activities such as mountaineering, climbing or canyoning, in cooperation from enthusiasts and professionals that excel in their respective field. Additionally to covering races, they have a very close and long-term cooperation and relationship (advertising, testing reviewing gear, presenting some of their races etc..) with the biggest brands in Mountain Running (Salomon, The North Face, La Sportiva, Dynafit, Suunto, Brooks, Hoka, etc…), and with some of the biggest retailers in Greek outdoor market. One of Advendure’s main activities is the in-depth technical reviewing and presentation of mountain running and outdoor products. They have a special methodology for this, giving a holistic approach of the product, which is somewhat different from the reviews someone can find in today's current outdoor and running market. The gear characteristics are explained thoroughly giving in depth information about its technical details and high-end technology features that may consists of, using “behind the scenes” info, images and videos. The tester’s personal review of the product is of course necessary mentioning all the pros and cons after the product’s everyday use. Advendure will be sending one of their athlete's, Sofia Vlavianou. Sofia will be covering the Lakes Sky Ultra as a media partner and channel, getting right to the heart of the event, plus she will be competing in the Scafell Sky Race on the Sunday to cover the race from the inside out! At the Lake District Sky Trails head office, in Glenridding, we think this will be a great partnership and allow the rest of Europe and certainly Greece to get a real taste of the Lakeland Mountain Range from our unique perspective. We look forward to welcoming many Greek runners to a weekend of extreme mountain running in the English Lake District in July 2018.